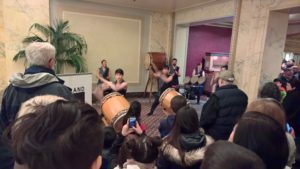 Portland Taiko was honored to perform before the KODO concert on Wednesday, February 1 at the Arlene Schnitzer Concert Hall. 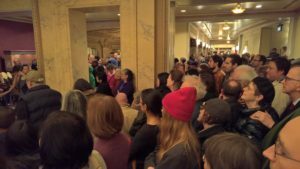 Thanks to the Oregon Symphony, KODO, and to all of you for supporting taiko in Portland! As expected, the KODO concert was breathtaking! Thanks to Lisa Tamura for the photos!